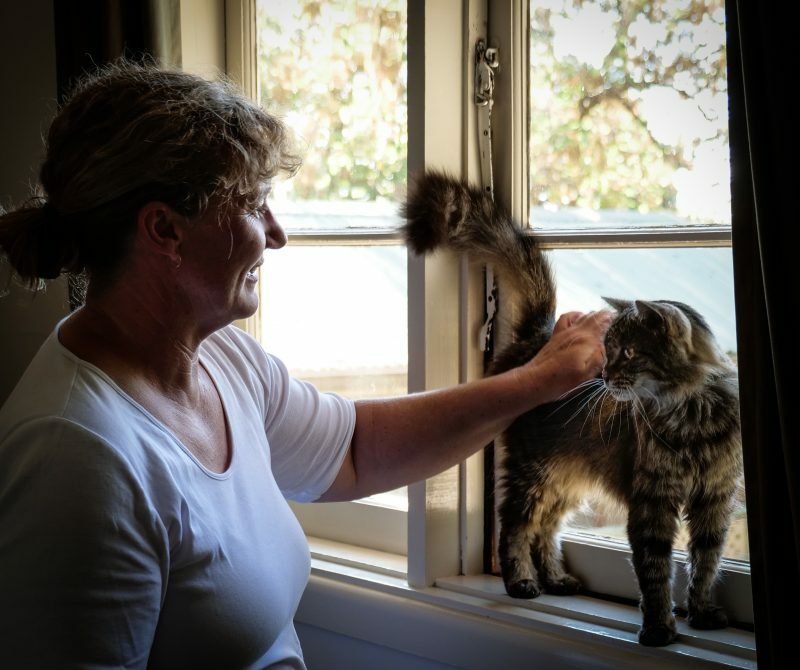 UNE researcher Lynette McLeod wants to talk about cats – specifically, domestic cats that are allowed to roam and cause carnage among small animals. But addressing this issue highlights a human paradox evident across global politics: people are more likely to act based on their values and emotions than the sturdiest of scientific evidence. So Lynette, while a doctoral candidate on a project linked to the Invasive Animals Cooperative Research Centre (CRC), instead turned to the ancient Greeks and their understanding of rhetoric for more effective ways of communicating with cat owners. Greek philosopher Aristotle was writing around 350 BC about the need for communicators to match their messages to their audience. Ideas are communicated more effectively, Aristotle said, when communicators split their audiences into groups who share similar values, beliefs, knowledge, behaviours and demographics, then tailor messages accordingly. Aristotle was preoccupied with politics, which along with the advertising industry has adopted his ideas so thoroughly it is now difficult to see them as novel. But it’s not a concept that has been used to communicate with cat owners about the problems caused by roaming domestic cats. Almost one in every three Australian households contains a cat, and 30% of owners say they keep their pets confined by day and night. But that leaves 70% of moggies to roam – up to five kilometres or more a day – and potentially become a public nuisance: preying on native animals, causing disturbances and neighbourhood disputes, transmitting disease and putting themselves at risk of serious injury from traffic, fighting and dog attacks. Most efforts by councils and Local Land Services to encourage cat owners to contain their cats have been unsuccessful. Many owners believe that it runs counter to their cat’s physical and psychological needs. But new nationwide containment laws are in the pipeline and there’s a push to get more owners on board. “There’s growing pressure on cat owners to better manage their cats, largely through the use of cat enclosures and keeping them indoors, but the first step is to understand the psychological and physical factors that drive or impede cat owners’ behaviour,” Lynette said. She began by analysing 40 international programs that appealed to owners to contain their cats. Lynette then conducted a broader, randomised trial of 356 owners to determine what messages were most effective in inspiring them to change. It seems that the protection of wildlife and improving the cat’s health and wellbeing were the two major motivating factors. Professor Don Hine, of the UNE School of Psychology and Behavioural Science, explains that the Aristotelian approach – today known as audience segmentation – is more likely to result in messages that are read, understood and acted upon. “We’ve seen how understanding the factors that influence human decision-making, choices and behaviour can be successfully applied to intervene on matters of human health, like smoking and exercise, but it can also be applied to environmental management,” he said. “Our research group at UNE has other projects looking at how audience segmentation might guide a new generation of people contending with climate change and renewable energy. Lynette has developed a framework to help councils and wildlife organisations identify the behaviours that need to be targeted as they work to manage cats, and is testing this model in Tasmania. She’s also collaborating with the RSPCA in Queensland and Victoria on cat containment education and will soon begin employment at UNE as a post-doctoral researcher. Her cat work was supported by the Invasive Animals CRC (Lynette now works with a CRC successor, the Centre for Invasive Species Solutions), and an Australian Postgraduate Award administered by UNE.